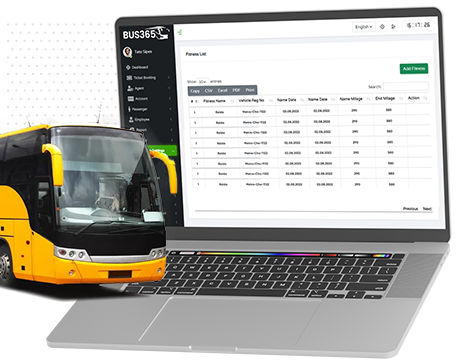 Bus reservation system is an essential software for managing online ticket booking system, Fleet and trip, vehicle performance & fitness, Employee’s performance evaluation & Expense, Income accounting and overall transportation trade management. Most of cases a responsive website is been adjacent with the Bus Reservation System, which ensure company's online presence and make closer to the passenger's. 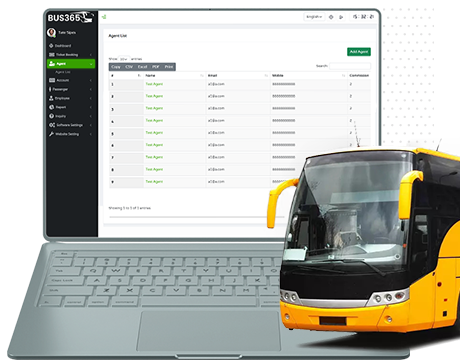 Bus Reservation automation Software can perform some of your daily activities automatically & make you more skilled to accelerate your workforce. Occasionally, Demand rose higher in transportation business. 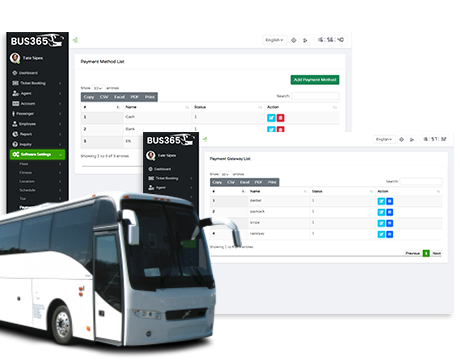 BRS(Bus Reservation System) can automate your activities and make able to fulfill on-time demand. Applying a scientific system make accurate, up to date & skilled. 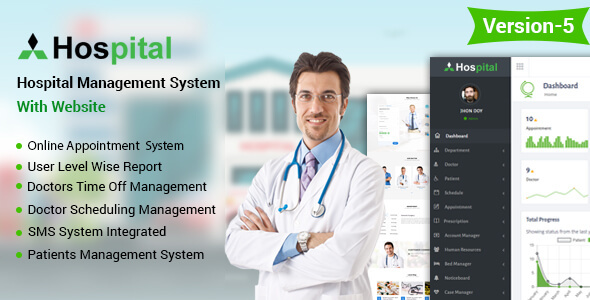 Vehicle management system will make your cusomter satisfied. 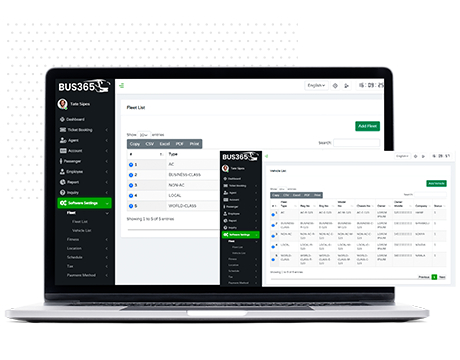 Your beloved customer can book bus seat from anywhere of the work by bus reservation management software. BRS is an tool for recording foremost to farthest history of transactions, track every single details of expense, income & profit. Gather A to Z Idea on Bus Reservation System. Thanked to be here. 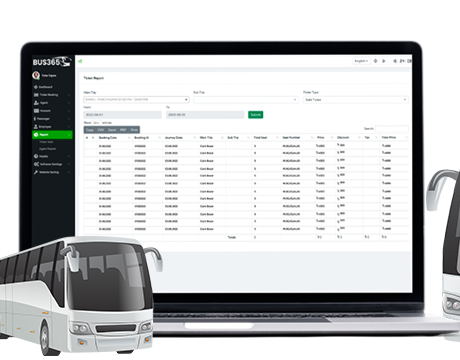 You are lucky enough because you are having an ultimate idea of an impressive transportation business automation tool. You have to be patient & have a slight eye view over the whole page for getting a complete idea. 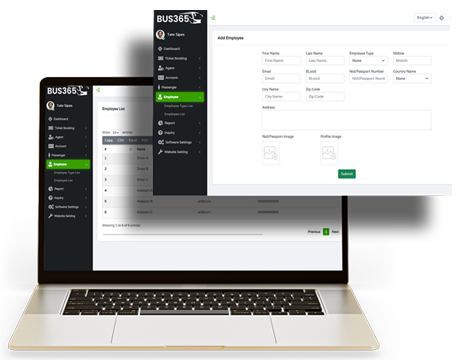 Bus reservation System: Bus Reservation System is a software for Online ticket booking, Trip & fleet management, Counter functionality & agent management, System to evaluate performance of driver, conductor & employee, Vehicle management & reservation for all important data, Fitness tracking of vehicle, Adjustment of expense vs income, Taking quick decision, assurance of overall automated management in whole reservation system & transport business for the large,medium and small transportation trade organisation having a large amount of fleet. Bus Reservation System. How to do booking from frontend and add from admin panel. Transportation trade is always dependable on the capability to manage it’s scheduled fleet. 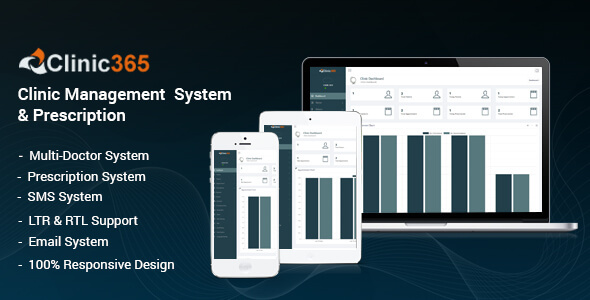 We have designed every fleet management steps with our system. Record your vehicle details, schedule, time, availability, seat no. Trip management is the important sector of transport business. There are more than 12 sections to make your trip easy to manage. Counter officer’s, Agents are very important part of your business. Bus365 has integrated a system to track, evaluate the performance, daily activities of every officers & agent and taking result oriented decision. If you able to manage your workforce competently, possibility of your success is almost arise. We have designed “Human resource” option to manage your workforce competently. Maintain list of your employee by their resignation Driver, Assistant,Accountant, General manager etc. Monetize your workforce, Reward them & get best outcome. 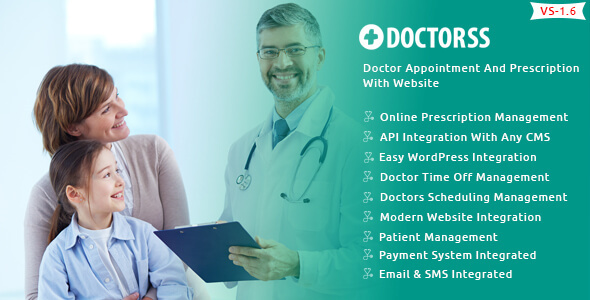 A smooth payment system, ticket price and offer strategy help to satisfied your customer. We include 3 different options to maintain your ticket price and offer strategy smoothly and paypal integration to experience the better user feedback. Paypal integration to get instant online payment. Price section to manage trip price according to passenger demand & discount calculation. Offer section to customize your occasional offer with your daily finance. Without being expert in finance management, you can’t expect to get goal oriented result from business transaction. We have designed account section to make expert in financial management. There is proverb- “ In order survive, You have to come on online” We have integrated a beautiful responsive website to ensure your online presence. Transport traders need to be up to date with its vehicle & fleet. He/She needs to track vehicle fitness regularly. We include fitness module for the following beneficiaries. To record important data about fitness condition of vehicle, expiration of insurance validity, Route permit, Tax token etc. To track vehicle’s engine, equipment etc problem details. Reporting Section is an important module adjacent with Bus365 to make a transport trader the ultimate decision maker. 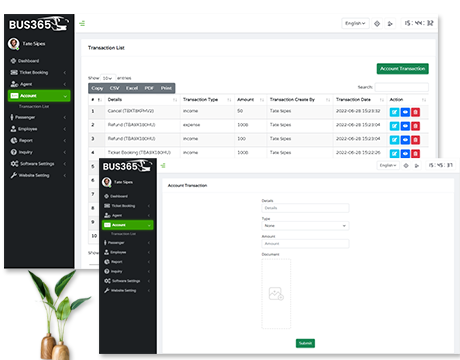 Code Quality and Functionality of this bus365 Software is really awesome.it saves my time and money.I really appreciate this Application. I have been using this bus reservation application for my bus booking system.It gives me pleaser from hard work and spening lots of money. 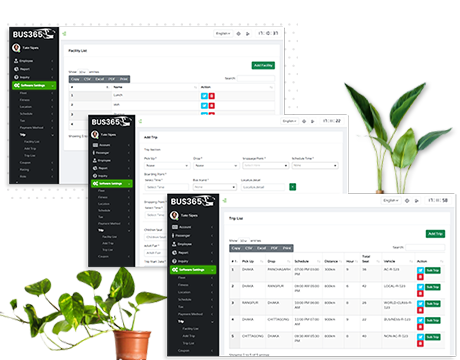 I bought this booking software for my customers.It is 100% Responsive and customizable.it is more user friendly then others application i ever seen.